Smash your fitness goals and shred away with the Fortis Foldable Mechanical Exercise Rowing Machine giving you a gym-grade full body workout that puts less pressure on your joints. Save money on expensive gym memberships! 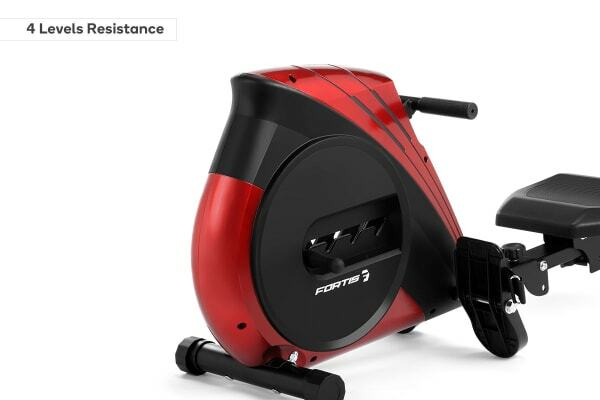 A workout with the Fortis Foldable Mechanical Exercise Rowing Machine will be just as fiercely sweaty and sculpting as your traditional high-intensity routine, without the running, jumping, and other jolts which can impact your joints. 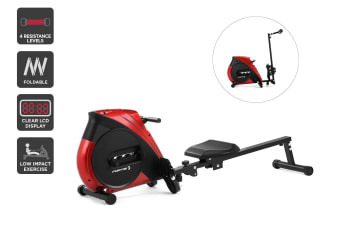 Unlike traditional cardio which places massive force on your knees, ankles and hips, this rowing machine is non-weight bearing, helping to reduce the potential for injury and correct muscle imbalances while burning more calories, building endurance and improving muscle strength. With four adjustable resistance levels, you’ll experience a smooth and progressive resistance that’s customised to your fitness level, with an elastic rope system to ensure a consistent row right from the first stroke without jerking or jarring to ruin your rhythm. 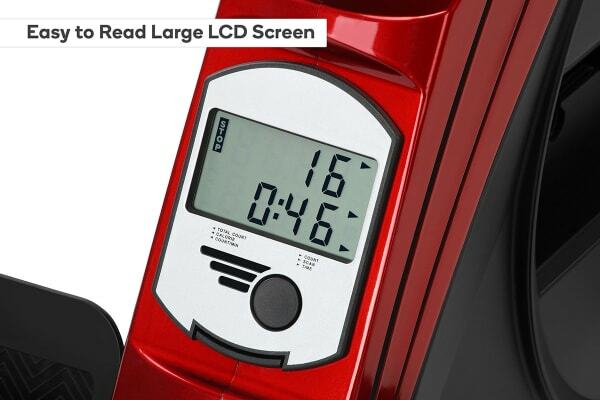 Featuring a clear LCD display, you can monitor calories burned, total rows, time and reps per minute so you can beat your personal best! When you’ve finished your full body workout, simply fold the machine in half and roll it into storage until your next session!